Whether celebrating a wedding or civil partnership a lot of couples agree that small and intimate is better. Having fewer guest can mean couples get quality time with the people who are closes to them. Intimate weddings can also be advantageous for those on a smaller budget. That doesn't mean that couples have to skimp on style and quality, it just means they can really go to town on the most important aspects of their wedding day. Often I come across couples who are finding it difficult to find a professional photographer to cover a few hours of their wedding or civil partnership. Most photographers refuse to cover weddings by the hour and prefer to cover full days, so turn couples like Martyn and Joanie away. My approach as a wedding photographer is unique. I like to cater for every couple, whether they require 5 hours' 8 hours' or a full day of coverage. So when Martyn and Joanie came to me and asked if I'd cover only the church ceremony and document them leaving the church I was happy to help. 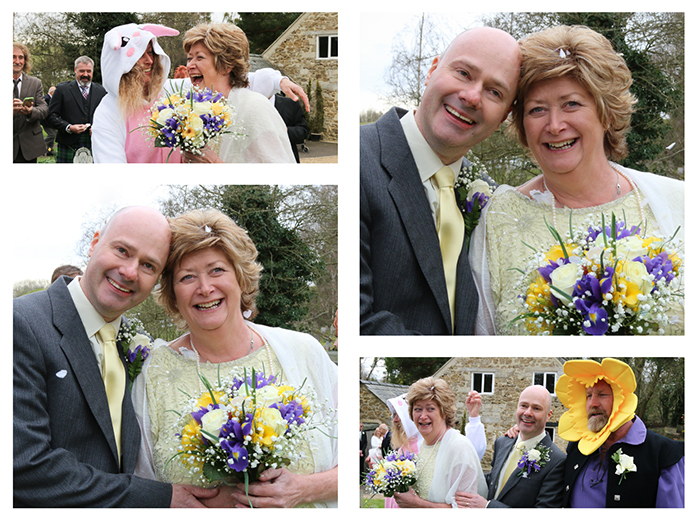 Half day coverage offers a personal service with all the benefits of a full day wedding photography package. With special thanks to Martyn and Joanie.